A MAN with links to Samoan royalty has narrowly escaped being sent to jail after his latest brush with the law. 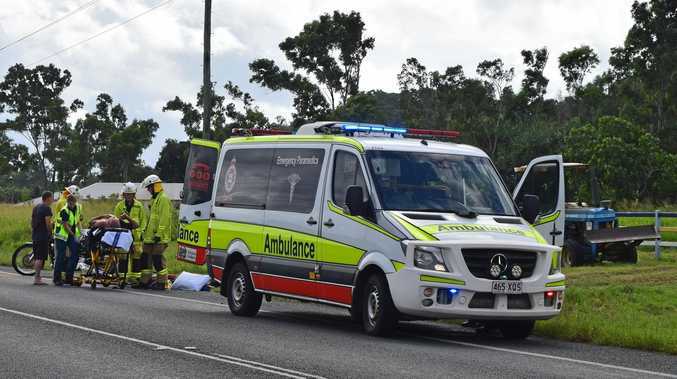 Mikaele Taisia Tui-Atua, 38, pleaded guilty in Ipswich District Court to three charges including assault, dangerous driving and assault occasioning bodily harm. The charges stem from an incident in April, 2014. The court heard Tui-Atua's great-uncle was the current King of Samoa and his family name appears on currency in the Pacific nation. Crown prosecutor Clare O'Connor said Tui-Atua was drinking with work colleagues at the Raceview Tavern before celebrations continued at a private address. She said Tui-Atua and another man decided to get into a consensual fight to show off their fighting skills, but things quickly turned ugly. "The altercation got out of hand after Tui-Atua punched the other man in the side of the head causing him pain," she said. "The victim sustained three lacerations in the pursuing altercation all of which required stitches." Ms O'Connor said Tui-Atua was asked to leave the party but continued to taunt his victim from the street. She said witnesses said many heated word were exchanged between the two parties - including an allegation of a racial slur levelled at Tui-Atua. "Tui-Atua jumped in his car, accelerated and then swerved towards party-goers who had gathered outside the house," she said. "Several had to jump out of the way to avoid being struck." Ms O'Connor said Tui-Atua had an appalling traffic history which included four dangerous driving convictions since 2012. She said Tui-Atua also had a previous assault occasioning bodily harm conviction stemming from an incident in 2009. Defence barrister Alastair McDougall said Tui-Atua had abstained from drinking alcohol since the incident in April, 2014. He said he was a respected member of the Samoan community and within his Church congregation. "It is accepted he has a shocking and appalling traffic history," he said. "He has strong links to the community and with local community organisations. "He has strong family support and his parents, former partner, partner and brother are in court supporting him." Judge Sarah Bradley sentenced Tui-Atua to 18 months behind bars but ordered he be released on immediate parole. She was scathing when addressing Tui-Atua during sentencing. "If you see yourself as a leader in the Samoan community you must stop bringing shame to it through your actions," she said. "You must also stop bringing shame to your family. "It is up to you to stay away from driving a vehicle otherwise if you do not then you will go to jail . . . the courts have run out of options in this regard with you." Judge Bradley also disqualified Tui-Atua from driving or holding a licence absolutely.